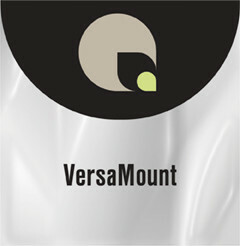 Versamount is a 2 mil, carrier-free, heat-activated permanent adhesive that is also reversible. Prints, posters, photographs, fabric, parchment, foils —even dried leaves, coins, etc.— can be mounted to a variety of substrates with Versamount. Its reversible permanent adhesive is pH neutral, and Versamount can be pieced, patched, or overlapped to eliminate costly waste.